The monks at Brasserie d’Orval have two main goals: A life of worship, and brewing beer, and they do both with reverence. Orval Abbey is a Cistercian monastery founded in 1132 in the Belgian village of Villers-devant-Orval. Beside brewing beer, they also find time to make cheese at the Abbey. The brewery has been in operation since 1931. This one-of-a-kind Trappist ale is bottle-conditioned with Brettanomyces, a wild Yeast strain that works it’s magic for years in the bottle. 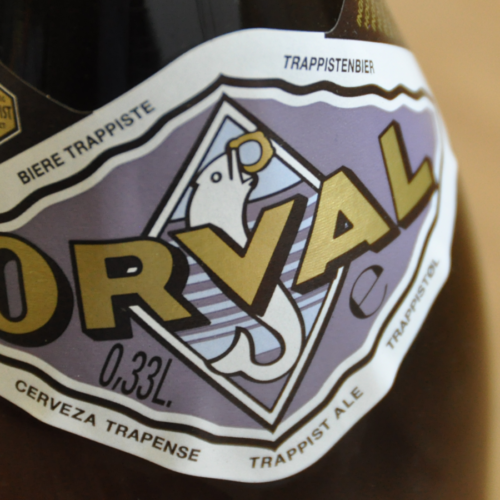 A fresh and a five-year old Orval will be very different, but both will be delicious. This 6.2% Belgian Pale Trappist ale pours a sunset-orange color, with a fruity and acidic bouquet, with a firm body, profound hop bitterness, and a dry finish.